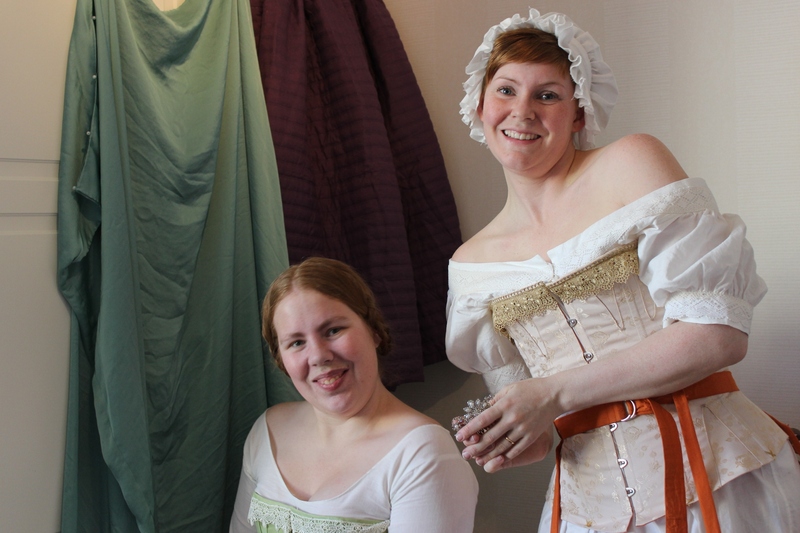 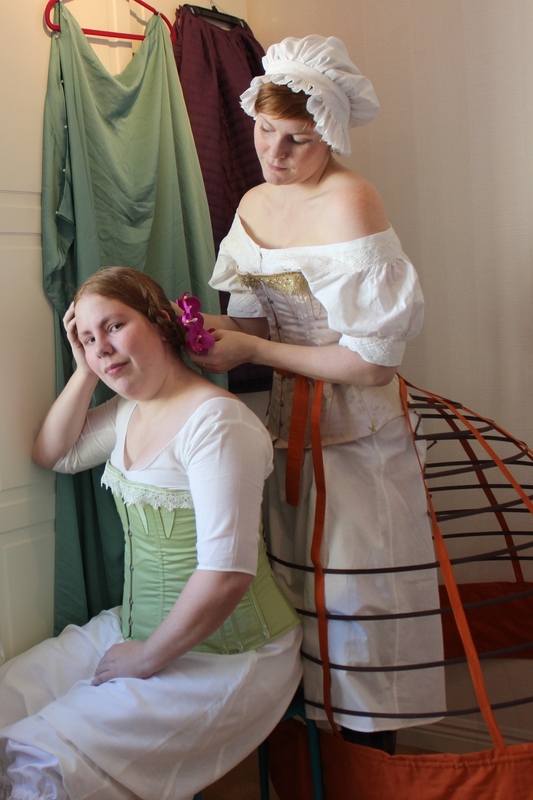 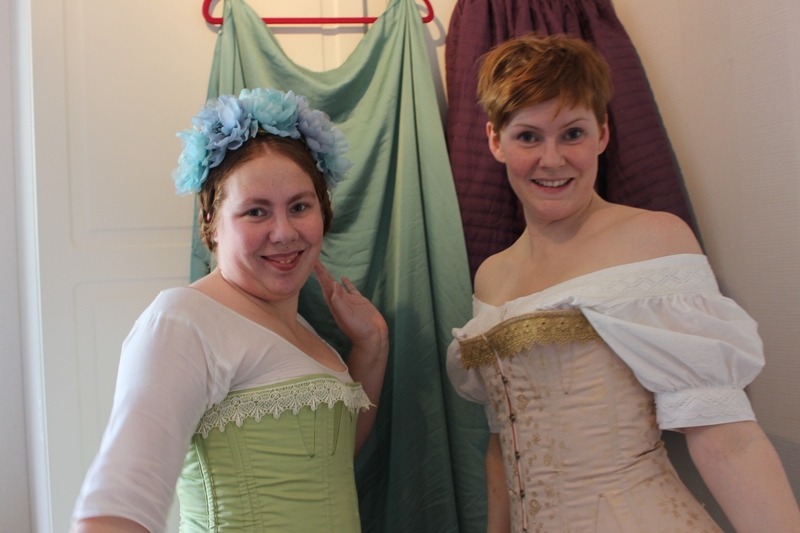 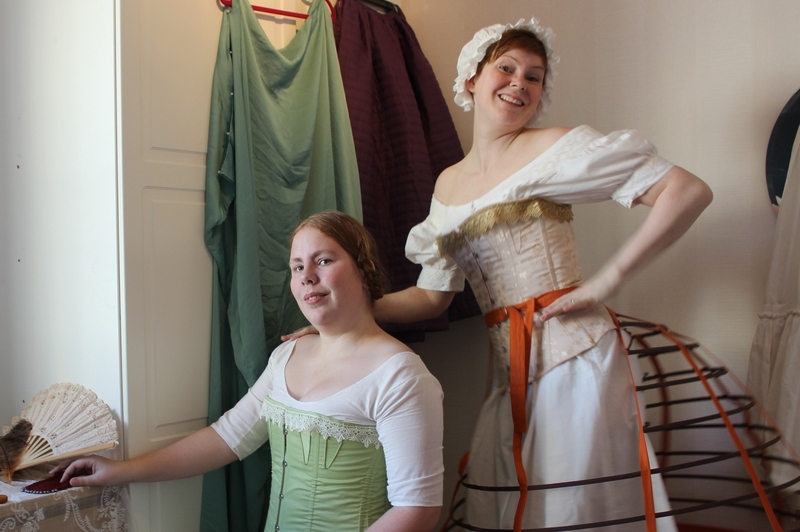 When I had my sister(s) over for the dress-fitting and underwear photoshoot, we also took the opportunity to take some 1860s underwear pics together. 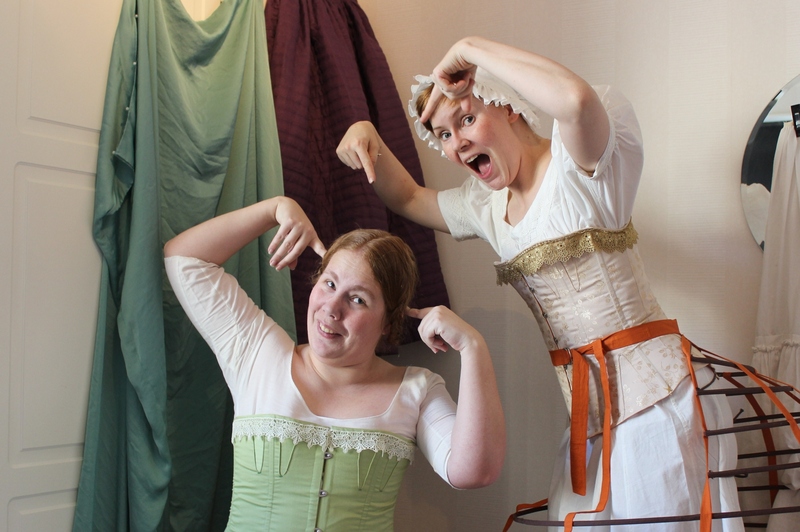 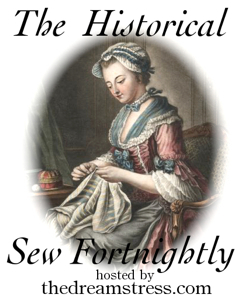 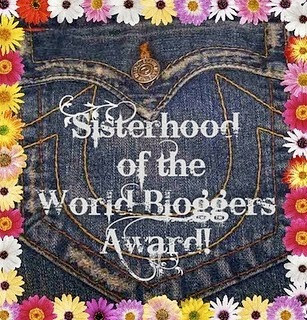 A short warning though – we just can’t keep these things serious…. 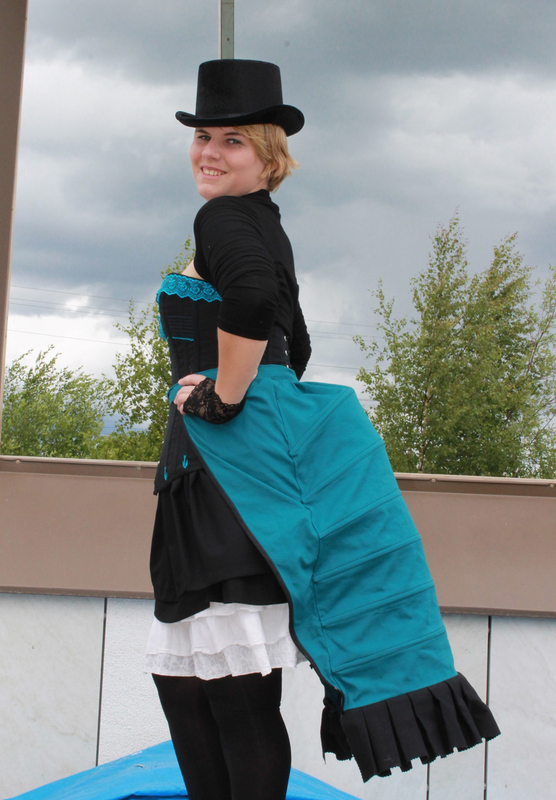 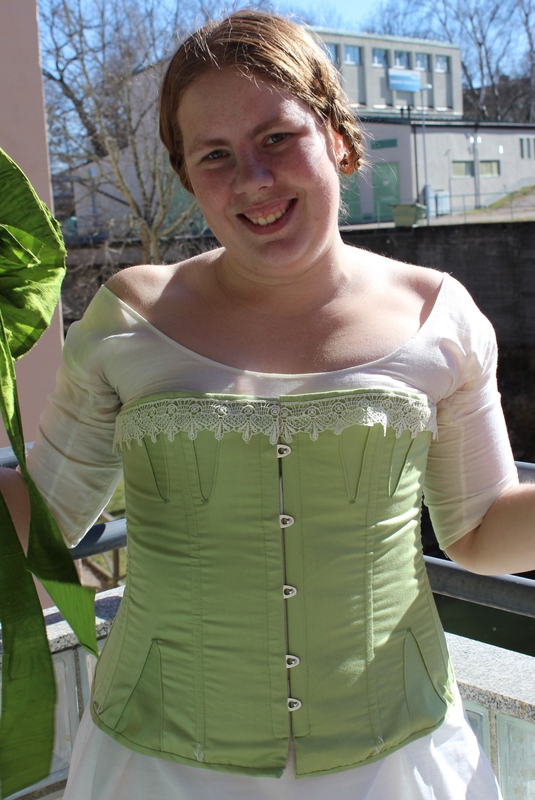 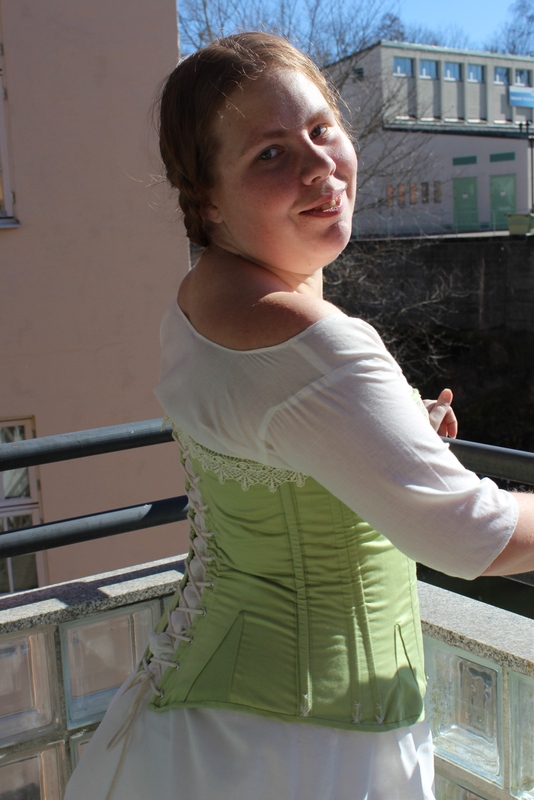 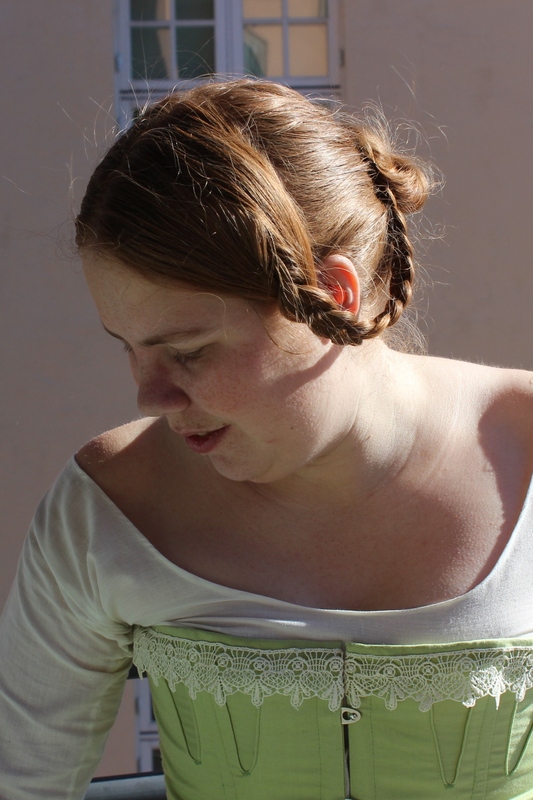 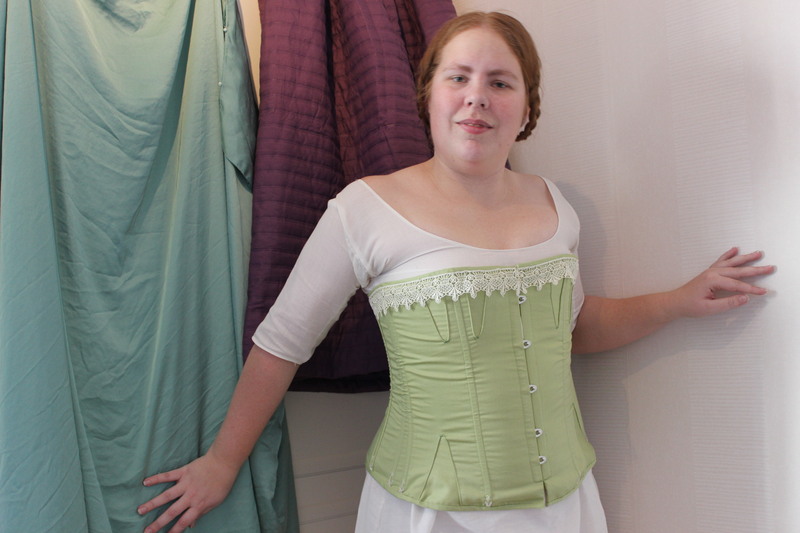 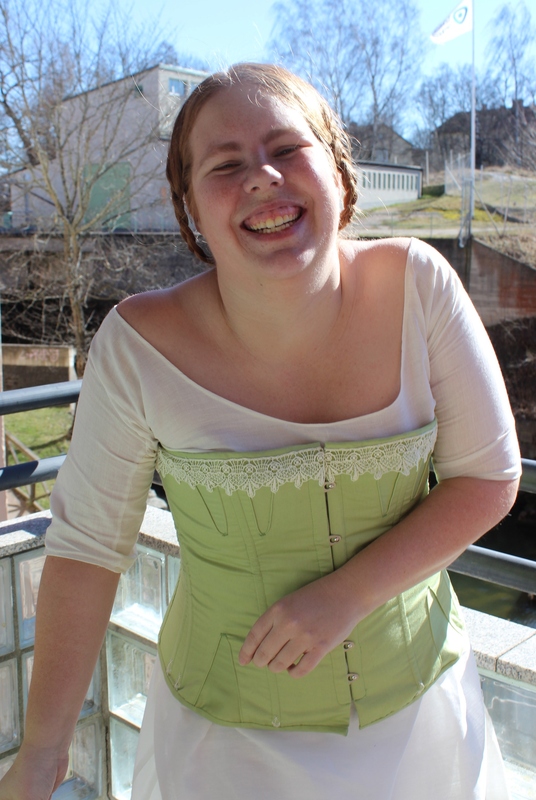 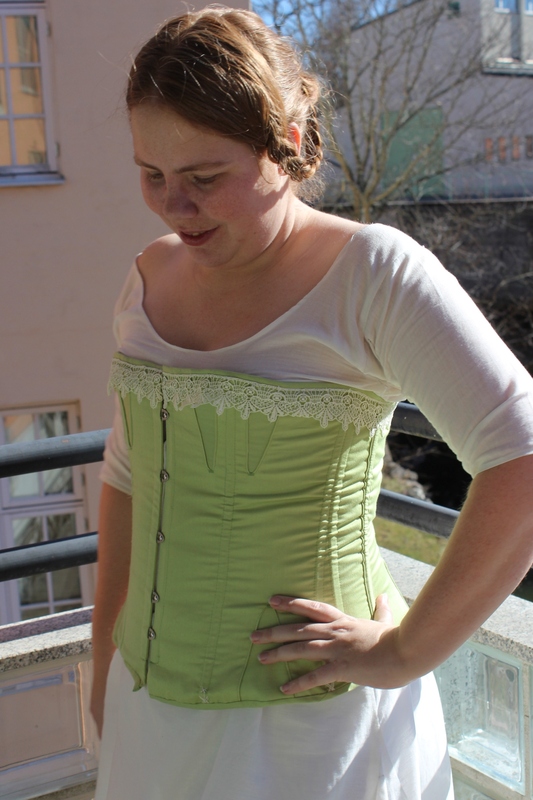 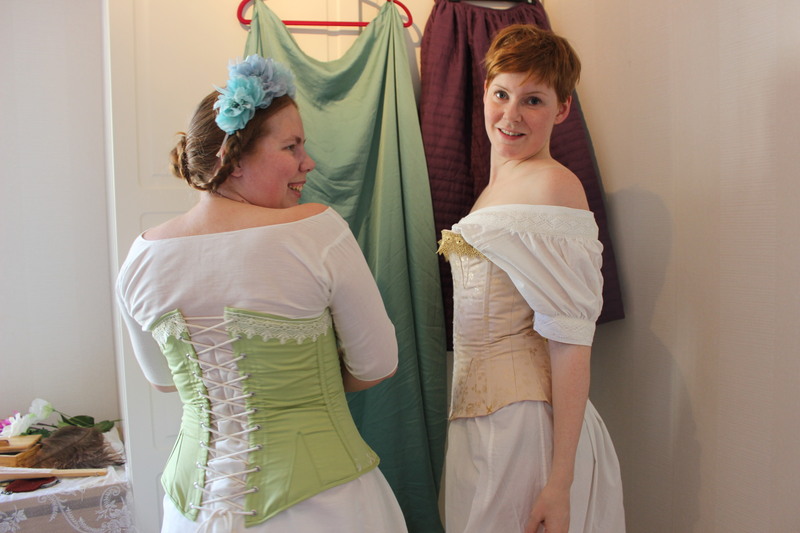 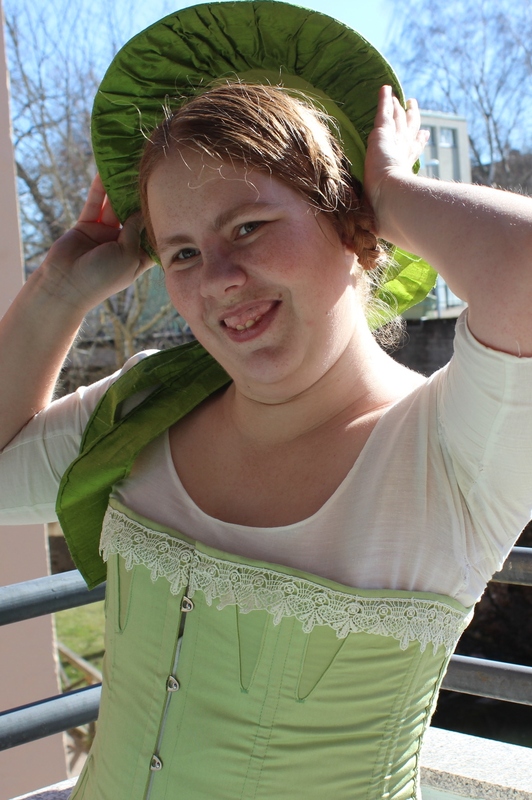 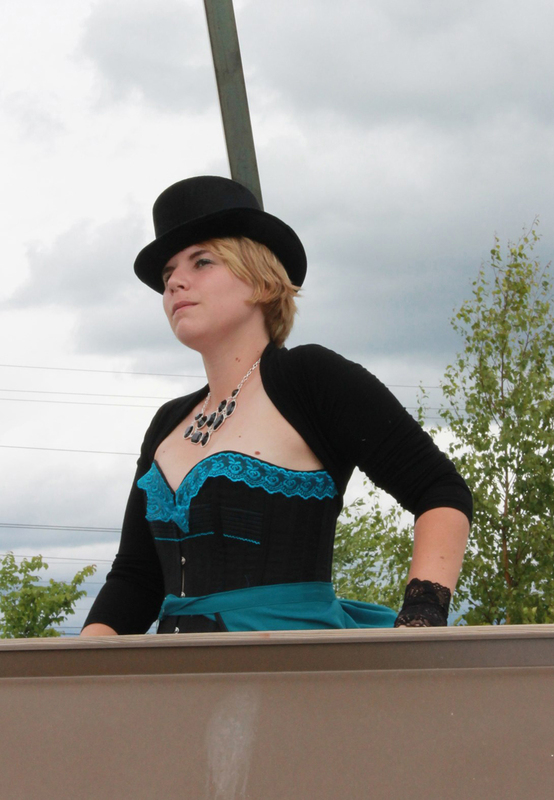 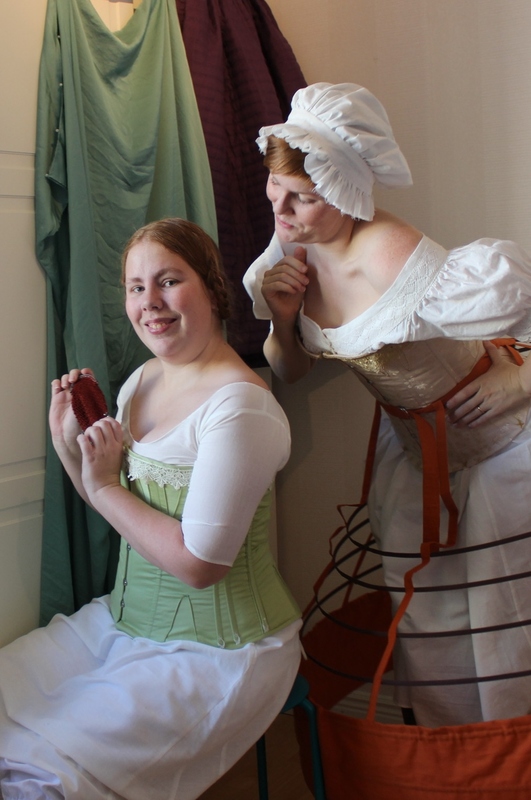 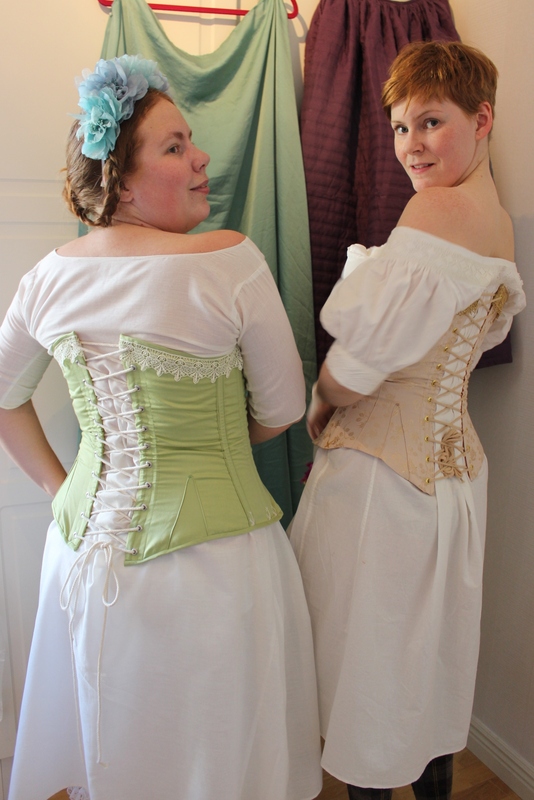 Here’s some photos of my sister in her new 1860s corset. 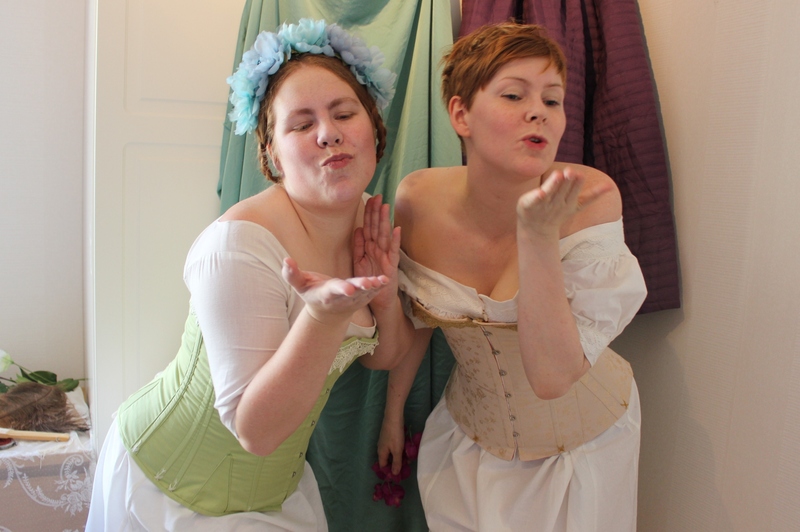 For the photoshoot of the victorian corset and bustle with my sister, we also decided to take some cooler pictures in a more neo-victorian/burlesque way. 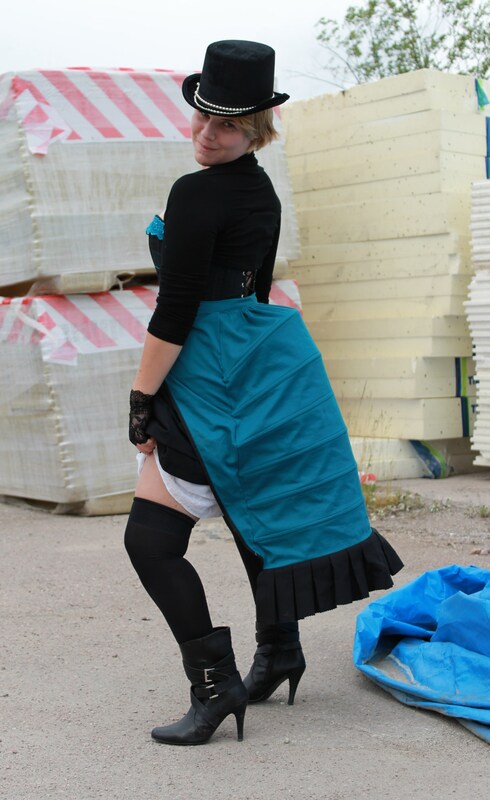 We used the building site next to my sisters home as location, and the pictures turned out great. 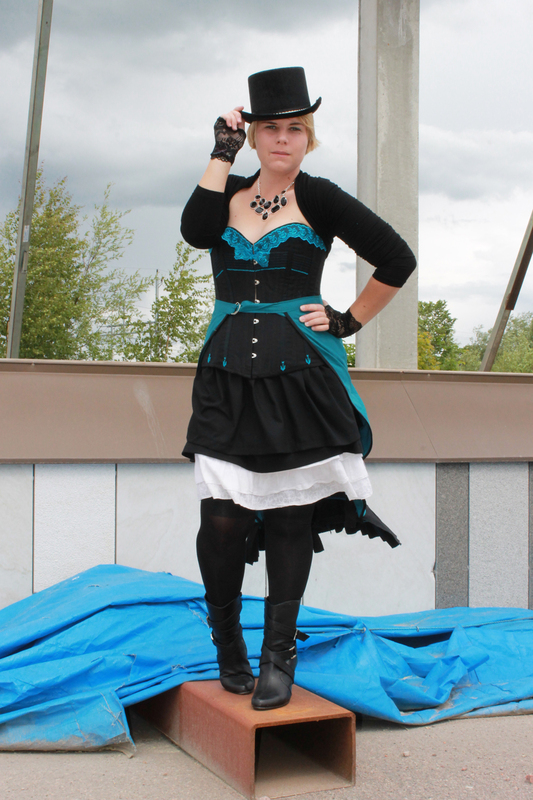 She is wearing: blommers, petticoat, skirt, stockings, corset, bustle, high heeled boots, bolero-shrug, lace mittens, necklace and a hat. 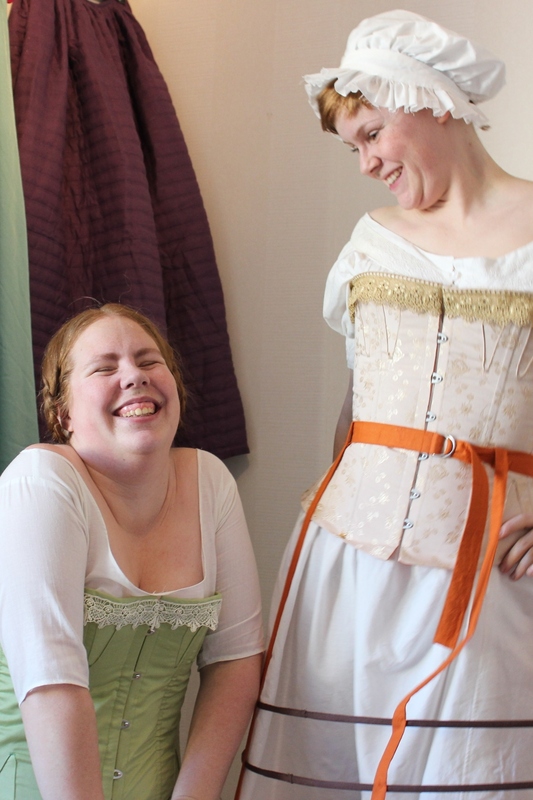 All of the accesories and stylings came from our closets (except for the mits which I bought for the shoot).